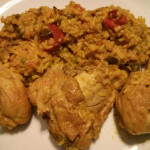 Fricasé de Pollo (Cuban Chicken Fricassee) is a hearty chicken stew dish with potatoes, olives, raisins, capers and more. Served it over white rice with crusty bread on the side. 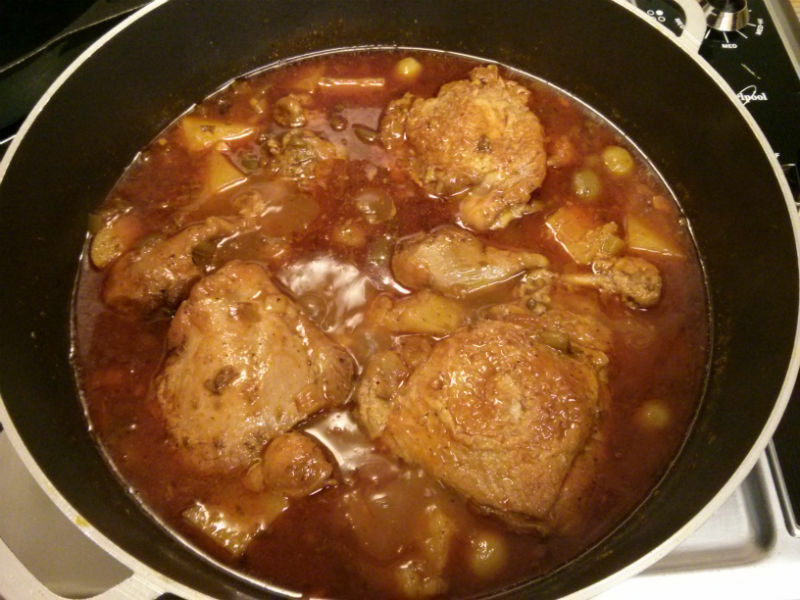 In a mixing bowl, add 2 cloves of minced garlic, 1 tsp salt, ½ tsp pepper, ½ tsp oregano, 1 tsp adobo seasoning, ½ tsp paprika, ¼ cup vino seco and mix thoroughly. Set aside till ready to use. Place the chicken in a large seal-able bag; pour the marinade over the chicken and shake well to assure an even coating. Refrigerate at least 2 hours or overnight if possible. 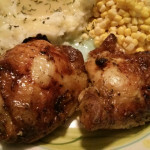 Take chicken out of refrigerator and let come to room temperature - about 15-20 minutes. 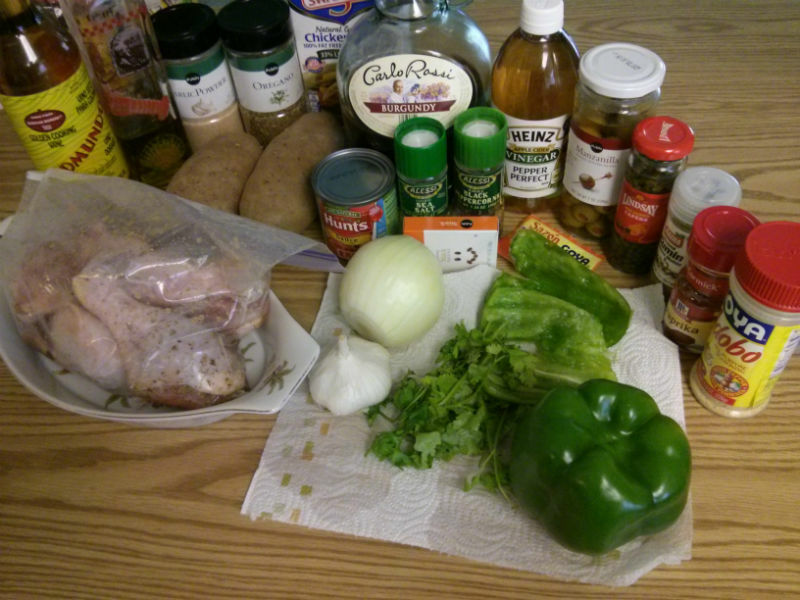 Dice onions and green pepper. Portion raisins, capers, olives, salt, pepper, oregano, garlic powder, cumin, paprika, adobo seasoning, olive oil, vino seco, burgundy wine, vinegar. 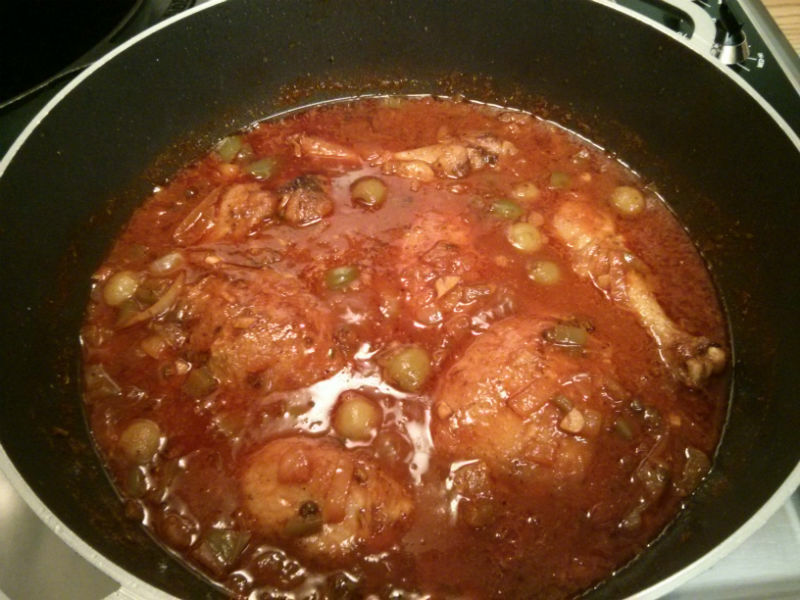 In a large heavy pot with a good lid... Heat 3 tbs of olive oil and brown chicken pieces on all sides - about 10 minutes. 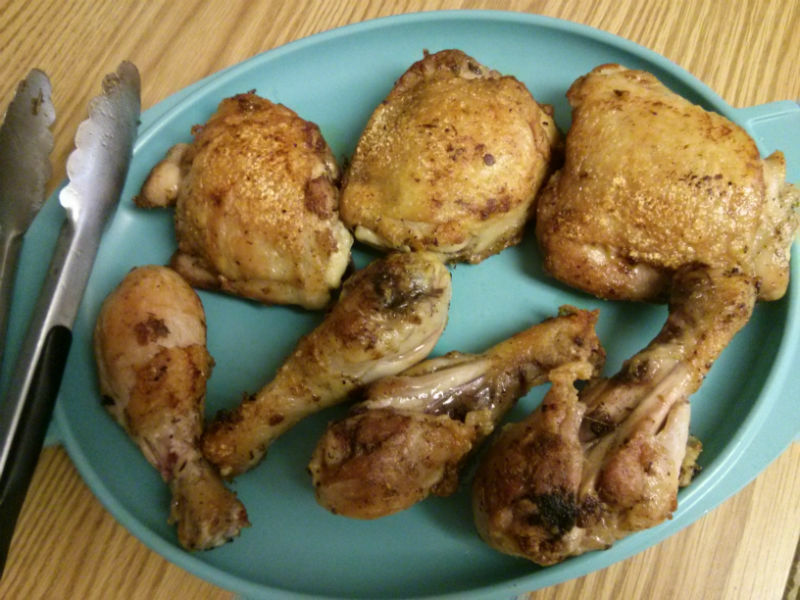 Leave the skin on the chicken for flavor, you may remove skin after dish is completed if you like. 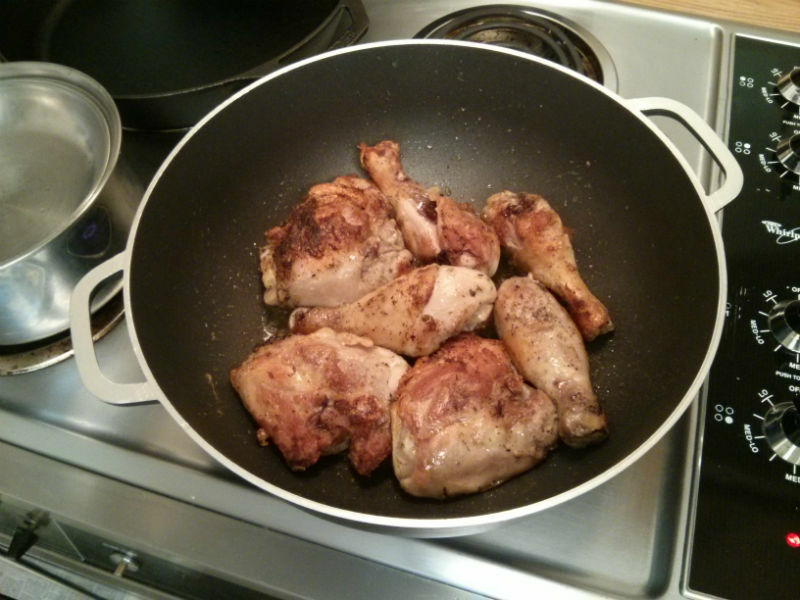 When done browning chicken, remove to a separate plate. Do not put on paper towels. 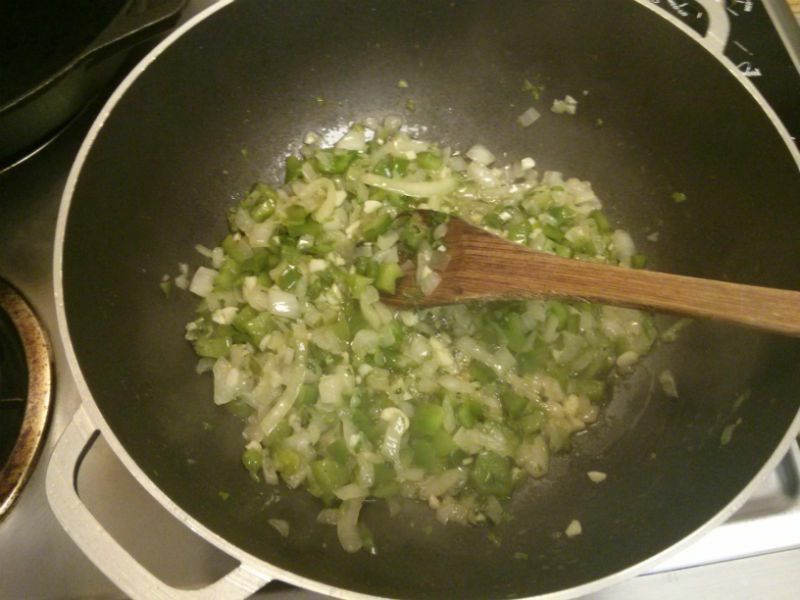 In the same pot over medium heat... Add onions, green pepper, ½ tsp salt and saute until onion and pepper are somewhat soft. 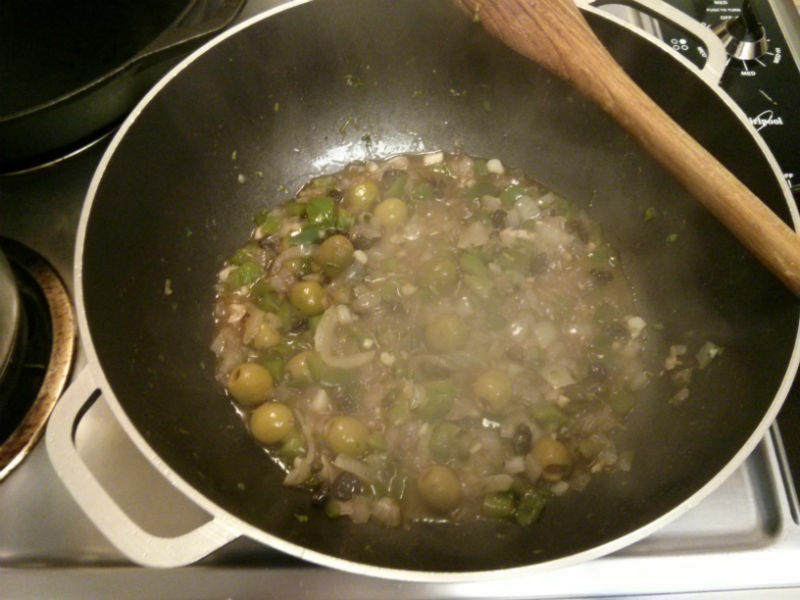 Next add olives, raisins, capers, cilantro and remaining garlic. When you begin to smell the garlic, add burgundy wine and vinegar. Stir well and continue to saute for about 1 minute. Make sure to scrape the pan well and get all of those great flavors left behind from browning the chicken. Next add tomato sauce, garlic powder, cumin, packet of Sazon seasoning and remaining dry seasonings - salt, oregano, black pepper, adobo seasoning, paprika and stir well. Add the cup of chicken stock, stir again and adjust salt & pepper to your liking. 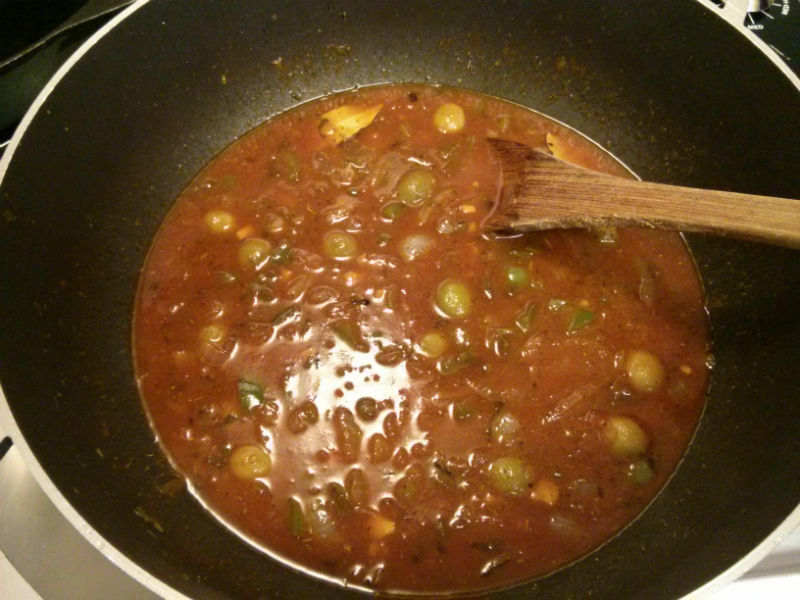 Cover sauce and simmer for about 5 minutes. After simmering sauce for 5 minutes... Add chicken pieces one at a time, making sure each piece gets covered with the sauce. Next, add potatoes and stir again making sure all the potatoes are covered with sauce. Cover and cook on medium-low heat for about 30 minutes. After 30 minutes of cooking, uncover and check to make sure your chicken is done and your fricasé has not begin to dry out. Also, test the potatoes doneness with a fork. If necessary, you can add ¼ cup of water or chicken stock, stir very gently, cover and continue to cook until chicken and potatoes are done. 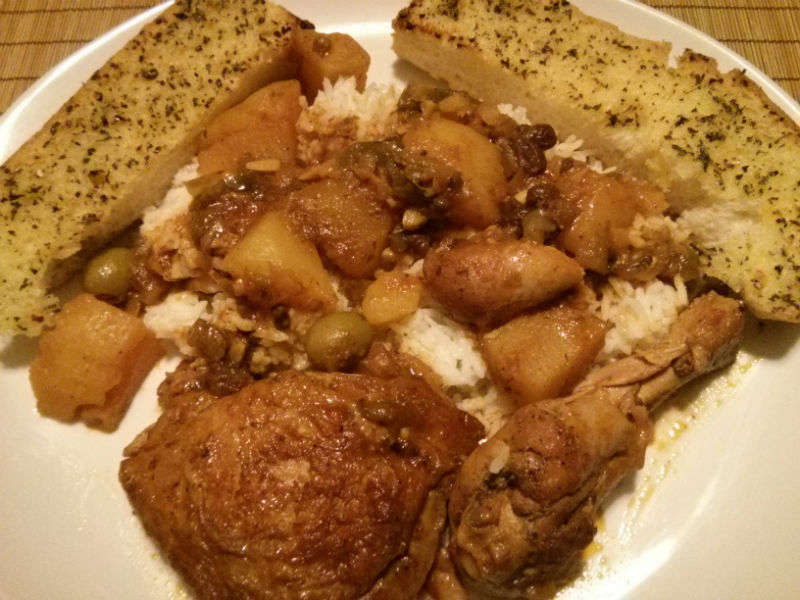 Served on top of white rice with crusty bread on the side. 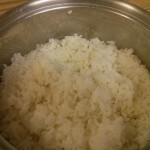 Cooking time can be cut considerably if you use a pressure cooker and cook accordingly. Filed Under Meats, Soups, Stews & Chilis | Tagged adobo seasoning, black pepper, burgundy wine, capers, chicken, chicken broth, cilantro, cumin, garlic, garlic powder, goya sazon, green pepper, olive oil, olives, onion, oregano, paprika, potato, raisins, tomato sauce, vinegar, vino seco. Bookmark the permalink.